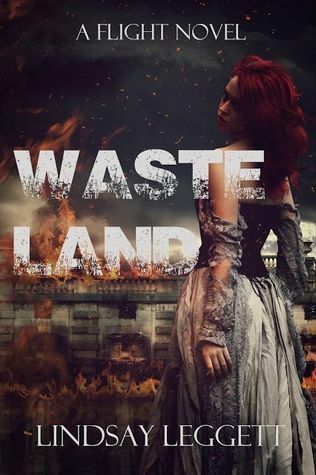 Book Blitz for Wasteland by Lindsay Leggett + Excerpt + Contest! Wasteland by Lindsay Leggett has been on my watch list. Well, the entire series Flight is. 🙂 It has harpies in it! And a heroine named Piper. And harpies. I need to read this sci/fi young adult series like yesterday. 😉 Take a look and enter the contest to win your choice of book 1 or 2. Light shines on me, and I groan as shocks of pain spread behind my eyes. I realize I’m lying in the corner of the cell, curled up into a ball. My hair is knotted and dirty, and almost all of the red dye has now faded. I squint toward the light, seeing only a dark figure smudging its bright rays. As my eyes adjust, so does the outline of Rupert Elder. His suit is ebony and spotless, and gold earrings capture his ears. He’s alone, and shuts the cell door behind him, leaving us in momentary darkness before the cell’s faint lighting flickers on. 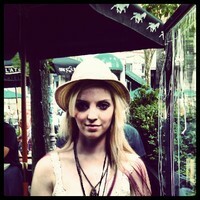 He stares down at me, an arrogant grin across his lips. He has me exactly where he needs me; weak and pumped full of whatever he’s had his techs administering into my system. My arms are covered with tract marks and bruises from the large needles. I hate what he has reduced me to, but I am losing my will to keep moving. Just remember him. Think of how he is fighting for you. Fight for him. “Piper Madden,” Rupert drawls. He crouches down to my level and runs his fingers across my cheek. I shudder involuntarily. His hands are cold as ice, and his breath stinks of stale cigar smoke. His many rings glint in the fluorescent light. “What do you want from me?” I gasp. My voice is sparse; my mouth is dry. I can’t even scream as he lifts me from my armpits and drags me up onto the bench where I usually sleep. He drops me on the far corner and then seats himself, swiping his pants as if he were infected just from touching me. “I just wanted to show you some of the new initiatives the Hunter program has begun,” he says, his voice shallow and cheerful. He pulls a small tablet from his pocket, presses a button, and it lights up. It’s a portable vid-screen, I realize. Must be new technology. I can’t help but wonder how many citizens now own one, the Corp monitoring their every move, their every transaction. Rupert slides his thumb along the screen, then presses down. A video pops up onto the screen, and he holds it in front of me for me to watch. At first I just hear voices; the usual sounds of rush hour in Central, but then the video comes into focus, and the voices turn to chants and vicious shouting. The video was taken at one of the town squares. The area has been cordoned off, and in the middle of the intersection, there were two people chained to large metal posts. But then the camera zooms, and I realize that the figures are not people; they’re Harpies. Their wings have been pinned around the posts, and their eyes are listless, broken. One of them looks to be a child. Tears spring to my eyes, pulling from the last dredges of hydration I have left. The young one is a little girl, looking up to the fake sky in search of some kind of rescue. A rescue I know never came. The chanting grows louder; the people of Central throw bits of rubble at them. Then Rupert appears. In the video he is dressed as he is now, only with a microphone set clipped onto one of his jeweled ears. “My dear people of Central. In front of you I have brought the enemy. The ones who wish to kill and eat your children. The ones who threaten your lives every day. But we will not let them frighten us. We will show them how strong we are, that we can bring them down. Who is the superior race?” he shouts. “Humans!” the crowd launches back. My teeth are clenching, but I can’t take my eyes away. “Let us prove to the Harpies that Elder Corporation has the control of this world. We will rise and take over the planet, just as we were meant to!” he growls. The crowd grows rowdier. Two Hunters march into the square in full Hunter dress regalia; stiff jackets with the Elder crest. They wear helmets, so I cannot tell who they are, but they look young. New. Malleable. Both are carrying large guns. They stand before the Harpies, who do not protest, who are not vicious or feral, but who tremble with fear. Then there is fire. Everywhere, flames as the Hunters discharge their weapons. The flames are tinged red, diluted with augmented Hunter blood. After a few moments the Hunters back away, and once the fire subsides, all that is left of the two Harpies is ash. My stomach turns, and I fight the urge to gag. “You’re sick,” I spit at Rupert. He raises his eyebrows. “Oh, really? I was under the impression that you were the one who was sick; your mind, torn apart by anguish and a disgusting affair with a monster. I am a savior to these people, Piper. I protect them. All I’m doing is giving them proof that they are safe,” he says. And there is nothing that I can even say, because I know that is what the people believe. Everyone believes Elder Corp. What other choice do they have? To them, life is perfect here. They may live underground, but they want for nothing. They have their holo-sky and their Pure Air generators and lab-grown food, and now, they have Harpy executions, to remind them that the only reason they live in this utopia is Elder Corporation. “Why don’t you just kill me?” I say finally. Rupert furrows his brows for a moment, and then bursts out laughing, his chuckle ringing hollow from the cell walls. “I would never kill you, Miss Madden. You are far too valuable, don’t you see?” he replies. I don’t see. What use am I to him trapped and broken? “What have you done to me?” Fear pervades my voice as I say this, as I look over the bruises from so many needles. He’s been experimenting on me, I know this. But what is his plan? What does he expect me to become? “You will see, soon enough. Now get up. Your muscles have been wasting away. You look like you’re on your last legs from radiation poisoning. I thought you were stronger than that,” he commands. I try to stand, but my body is slow to obey me, and my muscles are weak. Rupert stands up and reaches his arms over, forcing me off the bench and onto the ground. My face lands first; blood drips from my nose. I try my hardest not to groan as I push myself up. Blood flows from my nostrils over my lips and off my chin. I grit my teeth, the metallic taste of my own blood filling my mouth. Once I’m upright, Rupert pushes me into the cell wall, and I slide down to the floor, the blow causing me to lose my wind. I refuse to let him beat me. I can hear Asher’s voice in my mind, telling me to be strong, telling me not to break, because I’m better than that. I stand up, faster this time. I clench my muscles, expecting another blow, but instead Rupert just grins. If I could right now, I’d punch that stupid smile from his mouth. “You never fail to disappoint, Piper. You shouldn’t even be able to breathe from the amount of drugs in your system. I couldn’t be more proud,” he says. “What are you doing to me?” I say again, fiercer this time. He walks slowly toward me, menacing and somehow comforting at the same time. He lifts his hand to my face, and I turn away, but he strokes my cheek softly, lovingly. “I’m making you stronger. It might seem like hell now, but when the procedure is over, you’ll be the best Hunter the world has ever seen,” he whispers. His breath on me is toxic. “After all of this, why me? I’m not a Hunter anymore,” I say. He steps back, only the hint of a smile left on his face. “I’ve never lost faith in you. You have always been… like a daughter to me,” he says. He gathers his things, and I keep my body pressed against the wall. Before he leaves, he turns back to me. The word echoes from his lips and reverberates throughout my body. Freedom. Is there such a thing? He leaves, closing the door behind me. Soon my next meal will come; I’ve lost count of what time it is, so every meal is the same. Then Evan will come and administer the drugs, and my world will reset. But what Rupert said doesn’t leave me. I can almost taste fresh air on my tongue; real fresh air, damp and drizzling from the sky. And even though my body aches and my face is bloody, I start to work it, to gain back the strength I have lost. If it means freedom, I would do anything. But in the back of my mind, I know that this freedom will come with a steep price, and I need to be ready to pay it, or flee. Wasteland, the next book in the FLIGHT trilogy, takes place a few months after the ending of book one. 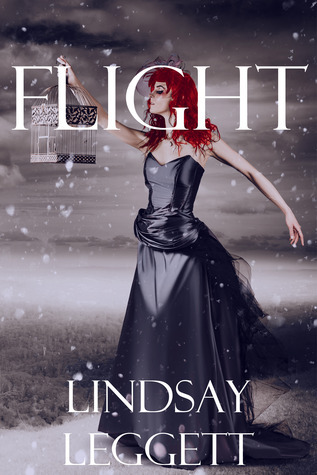 Trapped in a cell and experimented on, Piper Madden’s only hope is remembering Asher. Then, Elder Corp President Rupert Elder gives her new orders: to be a leader in a war against the Harpies. Without a choice, Piper must obey Rupert’s commands or suffer from paralyzing and painful Nanomachines. But the war is just beginning, and Asher has gone missing. The resistance is slowly building, and the upcoming war will be larger and bloodier than anything seen since the Devastation that ruined the earth. Throughout all of this, Piper remembers the time before she ran to Ichton, when David was alive and her hope in Elder Corp was still strong. Approximately what percentage of your reading is YA? I’d say for me it’s about 30%-ish lol though it goes up and down. I like young adult books. Really, just tell me a good story and I’m there. I would guess about 50%. Not sure where paranormal and dystopian fall, but I don’t read a lot of romance unless it’s included in other genres. Thank you for the giveaway! Hmmm. It varies. I suppose I teeter any given month from about 10% to 40%. not very many… maybe 15-20%? Not that I don’t like them, but the story really has to catch my interest. I have soooo many books in my TBR pile, I can’t really time wise add anymore, so the book has to stand out! Thanks for sharing! Approximately 25%. I really enjoy some of the young adult titles, such as The Hunger Games and Divergent. I would say for me about 50%. Previous PostPrevious Google Giggle Hangout with Cassie Alexander + spotlight on Deadshifted + contest!! !